The National Peace Council is pleased that in compliance with the principles of good governance, President Sirisena has accepted the opinion of the Supreme Court, thereby reaffirming the supremacy of the Constitution and the Rule of Law. However, recent reports that the President has taken offence at the various statements made against him on public platforms by members of the government in this regard are a matter of concern to us. We welcome Prime Minister Ranil Wickremesinghe’s admonition to his party members to desist from public criticism of the President. At the same time we value the check and balance function that having two parties in power brings to the government in tackling national issues. The exposure of the Central Bank bond scam is a relevant example. The National Peace Council also stresses the importance of the two parties working together to bring resolution to the country’s protracted ethnic conflict. 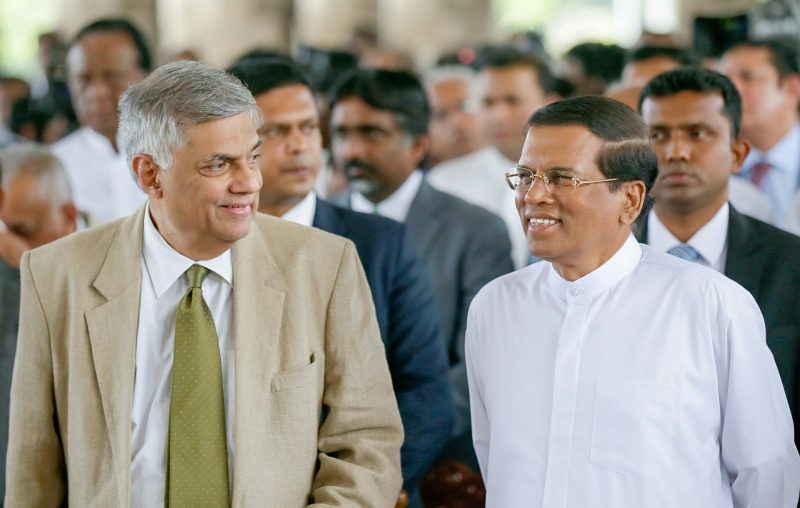 We believe that the present partnership of the UNP and SLFP is of utmost importance and needs to be nurtured and preserved until the national ethnic issue is finally resolved. Previous efforts to find a solution foundered on the rocks of narrow political partisanship. We urge the resumption of both the constitutional reform and transitional justice processes after the conclusion of the local government elections. The leadership provided by the President and the Prime minister will be crucial in giving proper direction to the future of the country and taking it out of the shallows in which it has been stuck for too long.